The partial government shutdown is nearly two weeks old, with no end in sight. In the letter sent to President Donald Trump and leaders of the U.S. House and Senate, Maryland’s Republican Gov. Larry Hogan, Virginia’s Democratic Gov. Ralph Northam and D.C.’s Democratic Mayor Muriel Bowser blamed a failure of leadership for the shutdown. 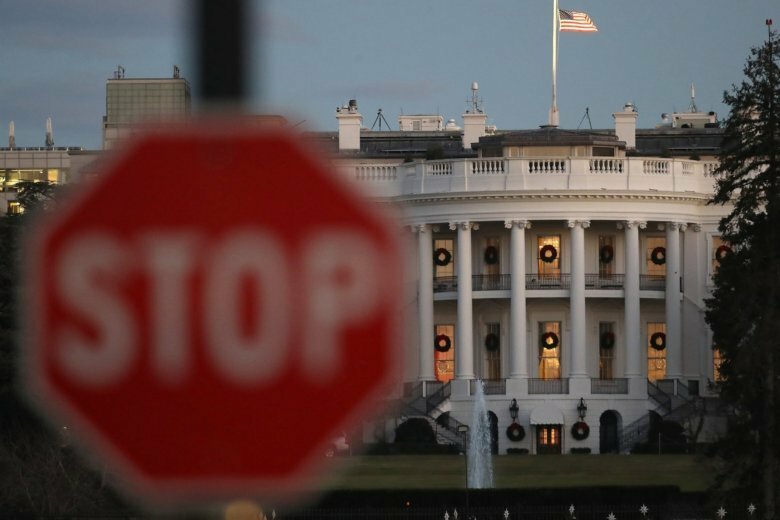 WASHINGTON — The chief executives of D.C., Maryland and Virginia have joined together in a letter which calls for an immediate end to the partial government shutdown. The national capital region is home to more than 360,000 federal workers, many of whom the D.C. area leaders claim are encountering unnecessary hardships because of the budget impasse. The letter said in addition to the troubles the situation creates for federal workers and contractors, it also deals a significant blow to the region’s economy. “Hardworking federal employees and those who depend on them should not have to suffer because of this partisan standoff,” the letter states. This comes as Trump and Democrats remain at odds over funding for a border wall along the U.S./Mexico border. Negotiations continued over the weekend, but so far a deal hasn’t been reached. Hogan, who is the vice-chair of National Governors Association, was part of a similar letter sent in December. The governors and mayor also say the shutdown poses a threat to natural resources, public health and safety. The letter said reductions in Coast Guard capabilities and the closure of the Environmental Protection Agency pose a threat to waterways and coasts. It also said national parks are being negatively impacted as trash piles up and a lack of staff compromises visitor safety. In calling for an end to the shutdown, the leaders urged the country’s top lawmakers to consider the impact on the D.C. region and the country. “We ask you to reach across the aisle to find a path forward and end this stalemate today, so federal employees in our region and across the country can get back to work,” the letter concluded.